People who use public transportation are pretty riled up, and it's not even because of the fatal traffic. 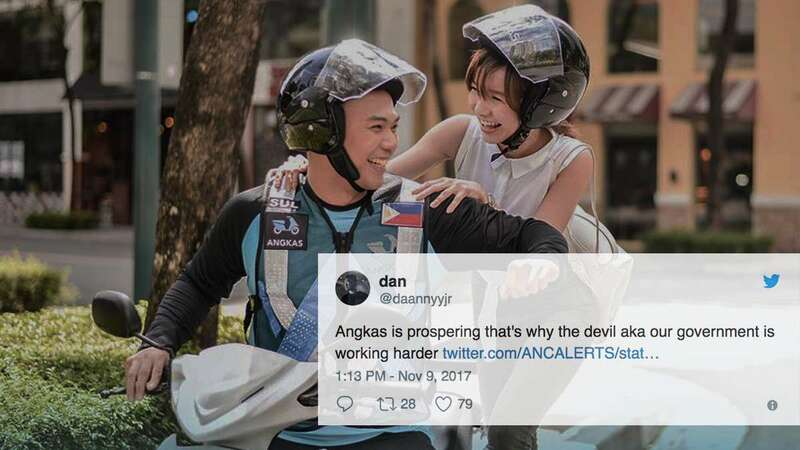 Motorcycle-hailing service Angkas was reported to be "considered as closed," the same day Arthur Tugade asked for prayers after the government assumed maintenance of the MRT-3. The Land Transportation Franchising and Regulatory Board (LTFRB) stopped 19 riders dead in their tracks due to lack of necessary permits. Angkas has three days to clear things up, which was stated in the notice from the Makati Business Permits Office. Meanwhile, the Department of Transportation has terminated its repair contract with the Busan Universal Rail. Under the corporation's watch, passengers have been tormented by numerous glitches in the central transit system. "Tulungan n'yo kami, bigyan n'yo kami ng tiwala, ambunan ng dasal, sapagkat ang problema sa MRT malawak at malalim," said Secretary Tugade, the same man who previously claimed that Filipinos' "state of mind adds to the problem of traffic." The collective shaking of heads on social media spawned the trending topic, #PrayForMRT.